Is there REALLY a link between Video SEO and Google page rankings? This Tech Crunch article says it all. As most search engine optimization (SEO) experts are aware, getting a first-page Google result is harder than ever. Not only do Google’s search and indexing algorithms continue to evolve in complexity, but Google has given over more and more of its search results real estate to “blended” search results, displaying videos and images towards the top of the first page, and pushing down—and sometimes off the page—traditional web results that would have otherwise competed for top rankings. But where problems arise, so do opportunities. Although Google’s newfound enthusiasm for video has created more competition for fewer traditional search results, it has enabled sites with video assets—even sites that would otherwise score poorly in the Google index—to successfully achieve first-page rankings. In fact, Forrester Research found that videos were 53 times more likely than traditional web pages to receive an organic first-page ranking. The advantage of this is that you are 100% certain to be indexed into Google’s search engine. This does not guarantee you’ll get a first-page result, but at least it ensures that Google knows your content exists. The drawback, of course, is that anyone who clicks on a YouTube result will be taken to YouTube, which may be fine if your goal is branding (i.e., you only care that people watch your video). If your goal is driving traffic, as is typically the case with SEO, this won’t be a successful strategy. Google is fairly flexible in what it considers to be video content. You can use actual video footage, but screen captures, slide shows, animated PowerPoint slides, and other content will work just as well. Google can’t actually “see” what’s inside the video content, so it relies on title and other meta-data to determine what content your video actually contains. With traditional web pages, Google utilizes crawlers to discover and index web content. Unfortunately, Google can’t read Flash very well (although it is trying), and as a result, most video content is invisible to Google’s search crawlers. Therefore, the best way to appear in Google’s blended search results is to submit your video to Google using a Video Sitemap. This is similar to an XML sitemap, but is formatted specifically for video, and only contains information about your video content. It is submitted using Google’s Webmaster Tools. The most common error in Video SEO is to assume that because you have submitted the web page on which a video resides, that the video content itself is being indexed. You’ll also need to make sure that you have a robots.txt file on all video pages, to ensure that Google can easily verify that the locations on the Web you’ve submitted do in fact exist, and that they contain embed codes which indicate the presence of a video. 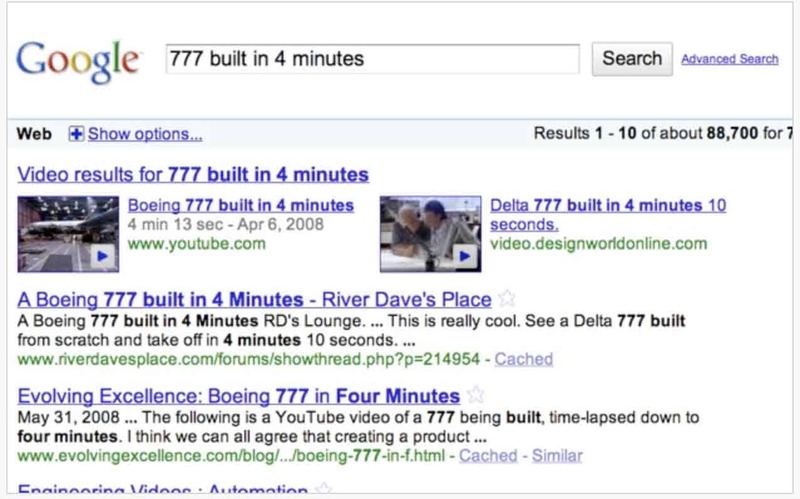 When ranking videos, Google primarily considers the match between search keywords and the video title. Although Google allows you to submit other meta-data such as description and keywords, these currently don’t have much influence on your search ranking. Google likes it when the title tag of the page matches the title of the video, and will give a higher weighting for results where this is the case. Like traditional SEO, you’re much more likely to see results with Video SEO if you target more specific, or longer tail, search terms. A video titled “Dog” is unlikely to produce a first-page ranking, while a video titled “German Shepherd Police Dog” will be more likely to score well in Google’s algorithm. Since Google can’t determine the actual content of the video, you might consider submitting the same video multiple times with different titles that match potential search terms. With traditional SEO, the age of a website is an important consideration for Google in deciding its ranking. Google also considers things like the number of pages on the site, and the number of links to the site, along with the importance of the places those links originate. In Video SEO, none of this matters. This means that even new sites and small sites can compete on equal footing with larger and more established players. Publishers who are too small or too new to even consider traditional SEO can still be taking advantage of Video SEO opportunities. As time goes by, Google’s discovery and indexing of video content will no doubt become more sophisticated, and as competition for video results increases, it will become harder for sites to achieve these first-page rankings. However, the number of web pages still massively outnumbers indexed video assets, and for as long as that continues, publishers will have an opportunity to jump to the top of Google’s search results through Video SEO. ©2019 Content Puppy LLC. All rights reserved.